Unlike Pinocchio, most of the time people do not give telltale signs that they are being dishonest. In lieu of a growing nose, is there a way to distinguish people who are telling the truth from those who aren’t? A new report by Aldert Vrij (University of Portsmouth), Anders Granhag (University of Gothenburg), and Stephen Porter (University of British Columbia) discusses some of the common misconceptions about lying (for example, the belief that people telling lies are more nervous), reviews the shortcomings of commonly used lie-detection techniques, and presents new empirically supported methods for recognizing lies with greater accuracy. Detecting a lie is not always easy. Lies are often embedded in truths and behavioral differences between people who are lying and people who are telling the truth are usually very small. In addition, some people are just really good at lying. Lie detection professionals routinely make common mistakes, including overemphasizing nonverbal cues, neglecting intrapersonal variations (i.e., how a person acts when they are telling the truth versus when they are lying), and being overly confident in their lie-detection skills. Research reveals that verbal methods of deception detection are better than nonverbal methods, despite the common belief that nonverbal methods are more effective. Additionally, there are psychological differences between a person who lies and a person who tells the truth–differences that can be exploited. Conducting an information-gathering interview may be helpful in identifying lies. 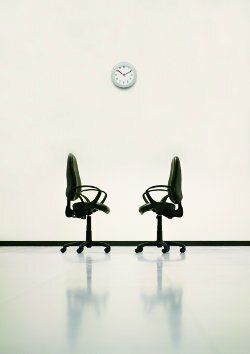 In this type of interview, suspects are asked to give detailed statements about their activities through open questions–for example, “What did you do yesterday between 3 p.m. and 4 p.m.?” This type of interview style encourages suspects to talk and allows opportunities for the interviewer to identify inconsistencies between the answer and available evidence. Asking very specific questions that a suspect is unlikely to anticipate may also help for lie detection. Lying can be more cognitively demanding than truth-telling–it requires more brain power to come up with a lie and keep track of it than it does to tell the truth. Imposing cognitive load on interviewees–for example, by asking them to recall the events in reverse order–may also be useful for detecting deception. This research has important implications in a variety of settings, including the courtroom, police interviews, and screening individuals with criminal intent, such as identifying potential terrorists.